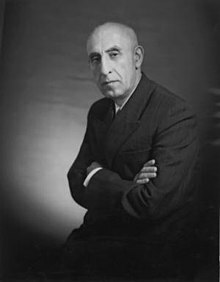 ^ His surname is also spelt Mossadeq, Mosaddiq, Mosaddegh, Mossaddeq, Mosaddiq, Mossadeq, Mosadeck, or Musaddiq. ^ The -[e] is the Izāfa, which is a grammatical marker linking two words together. It is not indicated in writing, and is not part of the name itself, but is used when a first and last name are used together. ^ Houchang E. Chehabi (1990). Iranian Politics and Religious Modernism: The Liberation Movement of Iran Under the Shah and Khomeini. I.B.Tauris. p. 113. ISBN 978-1850431985. ^ Bani-Jamali, Ahmad (2008). آشوب: مطالعه‌ای در زندگی و شخصیت دکتر محمد مصدق [Chaos: A Study on Life and Character of Dr. Mohammad Mosaddeq] (in Persian). Tehran: Ney. pp. 146–155. ISBN 978-9643129705. ^ Matini, Jalal (2009). نگاهی به کارنامه سیاسی دکتر محمد مصدق [A Glance at the Political Career of Dr. Mohammad Mosaddeq] (in Persian). Los Angeles, CA: Ketab Co. p. 25. ISBN 978-1595842268. ^ James Risen (2000). "Secrets of History The C.I.A. in Iran The Coup First Few Days Look Disastrous". nytimes.com. ^ a b Stephen Kinzer; John Wiley; David S. Robarge (12 April 2007). "All the Shah's Men: An American Coup and the Roots of Middle East Terror". Central Intelligence Agency. ^ Daniel Yergin, The Prize: The Epic Quest for Oil, Money and Power (ISBN 9781439110126). ^ a b James Risen (16 April 2000). "Secrets of History: The C.I.A. in Iran". The New York Times. Retrieved 3 November 2006. ^ Dan De Luce (20 September 2003). "The Spectre of Operation Ajax". London: Guardian Unlimited. Retrieved 3 November 2006. ^ Mark Gasiorowski; Malcolm Byrne (22 June 2004). 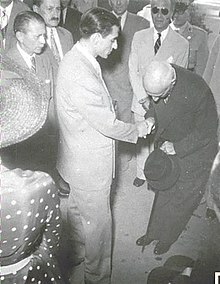 "Mohammad Mosaddegh and the 1953 Coup in Iran". National Security Archive. Retrieved 3 November 2006. ^ Afkhami, Gholam Reza (2009). The life and times of the Shah. University of California Press. p. 110. ISBN 978-0-520-25328-5. ^ Peter Avery, Modern Iran (Praeger, 1965), p. 273: "Older people still speak of Dr. Musaddiq as Musaddiqu's-Saltanah." ^ Kinzer, Stephen (October 2008). "Inside Iran's Fury". Smithsonian Magazine. Archived from the original on 3 October 2008. Retrieved 9 August 2013. ^ "IFVC, The Political Life and Legacy of Mosaddegh, Bahman Maghsoudlou, Iranian Film Directors, New Productions". Archived from the original on 13 April 2011. ^ a b Kinzer, Stephen (2003). All the Shah's men: an American coup and the roots of Middle East terror. Hoboken, N.J.: John Wiley & Sons. p. 54. ISBN 978-0471265177. ^ Baktiar, Salar (24 November 2004). "The life of Mirza Hassan Khan, Mostofi Al Mamalek" (PDF). Retrieved 31 July 2011. ^ "Centers of Power in Iran" (PDF). CIA. May 1972. Retrieved 5 August 2013. ^ a b c Cleveland, William (2016). A History of the Modern Middle East. Boulder, CO: Westview Press. ^ a b Abrahamian (1982) p. 268. 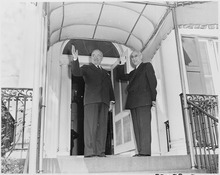 ^ Alan W. Ford, The Anglo-Iranian Oil Dispute of 1951–1952. University of California Press, Berkeley 1954, p. 268. ^ M. Fateh, Panjah Sal-e Naft-e Iran, p. 525. ^ a b Abrahamian (1982), p. 268–70. ^ Abrahamian (1982), pp. 268–9. ^ Abrahamian (1982), p. 269. ^ Kinzer, All the Shah's Men, (2003) pp. 150–1. ^ Abrahamian (1982), pp. 270–1. ^ Mosaddegh: The Years of Struggle and Opposition by Col. Gholamreza Nejati, p. 761. ^ , Abrahamian (1982), p. 271. ^ a b Abrahamian (1982), p. 272. ^ a b Abrahamian (1982), p. 273. ^ Zabih, Sepehr. The Mosaddegh Era: Roots of the Iranian Revolution, p. 65. ^ Makki, Hossein. Twenty-year-old history of Iran. ^ "No traction for proposal to name street after Mosaddeq". Mehr News Agency. 9 September 2008. News ID: 2820572. Retrieved 31 March 2017. ^ ben, cool. "The Coup Against Iran's Mohammad Mossadegh". ^ Saikal, Amin, The Rise and Fall of the Shah, Princeton University Press, 1980, p. 42. ^ McQuade, Joseph. "How the CIA toppled Iranian democracy". ^ Downing, Larry. "Documents reveal new details about CIA's role in 1953 coup in Iran". foxnews. ^ Halberstam, David (1993). The Fifties. New York: Ballantine Books. pp. 366–367. ISBN 978-0-449-90933-1. ^ Kinzer, Stephen (2003). All The Shah's Men. New Jersey: John Wiley &Sons. p. 7. ISBN 978-0471265177. ^ Trying to Persuade a Reluctant Shah, New York Times 7 Dec. 2009. ^ Risen, James (16 April 2000). "Secrets of History: The C.I.A. in Iran – A special report. ; How a Plot Convulsed Iran in '53 (and in '79)". New York Times. Retrieved 16 July 2015. ^ Gasiorowski, Mark J. (2004). 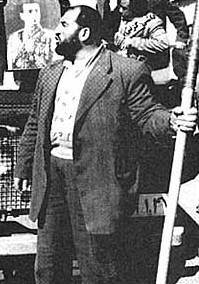 Mohammad Mosaddeq and the 1953 coup in Iran. Syracuse: Syracuse Univ. Press. ISBN 978-0815630180. ^ a b Kermit Roosevelt Jr. Countercoup: The Struggle for the Control of Iran (McGraw-Hill, 1979) ISBN 0-07-053590-6. ^ Farrokh, Kaveh (2011). Iran at War: 1500–1988. Osprey Publishing. p. 449. ISBN 978-1780962214. ^ "Pahlavani: Misinformation, Misconceptions and Misrepresentations". pahlavani.com. ^ C.I.A. and Moscow Are Both Surprised, New York Times 7 Dec. 2009. ^ Persian Oil: A Study in Power Politics by L.P. Elwell-Sutton. 1955. Lawrence and Wishart Ltd. London. p. 315. ^ Hangen, Welles (22 December 1952). "Mossadegh Gets 3-Year Jail Term". The New York Times. 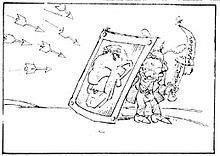 ^ Eccentric Nationalist Begets Strange History, The New York Times 7 December 2009. ^ "1. Iran (1905–present)". uca.edu. University of Arkansas (Political Science). Retrieved 5 October 2018. 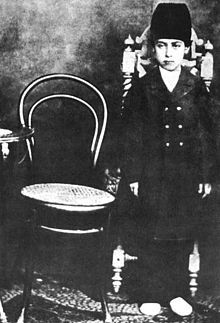 ^ a b c d e Azimi, Fakhreddin (13 December 2011) [December 15, 1998]. "Elections I. Under the Qajar and Pahlavi Monarchies, 1906–79". In Yarshater, Ehsan (ed.). Encyclopædia Iranica. 4. VIII. New York City: Bibliotheca Persica Press. pp. 345–355. Retrieved 15 March 2016. ^ Ladjevardi, Habib (1985). Labor unions and autocracy in Iran. Syracuse University Press. p. 19. ISBN 978-0-8156-2343-4. ^ Ladjevardi, Habib (1985). Labor unions and autocracy in Iran. Syracuse University Press. p. 159. ISBN 978-0-8156-2343-4. ^ Nasr, Vali, The Shia Revival, Norton (2006), p. 124. ^ Mackay, Sandra, The Iranians, Plume (1997), p. 203, 4. ^ Sanchez, Raf. "British diplomats tried to suppress details of a MI6 role in Iran coup". telegraph. ^ Allen-Ebrahimian, Bethany. "64 Years Later, CIA Finally Releases Details of Iranian Coup". foreignpolicy. ^ Norton-Taylor, Richard. "CIA admits role in 1953 Iranian coup". theguardian. ^ "Mohammad Mosaddegh, Man of the Year". Time. 7 January 1951. Retrieved 19 November 2006. ^ "Mossadegh". clevelandfilm.org. Archived from the original on 2 August 2012. ^ Maz451 (12 February 2016). "Bernie Sanders on Regime Change and Mossadegh" – via YouTube. ^ Picard, Joe (29 February 2016). "Bernie Sanders, Dr. Mossadegh, and US foreign policy". ^ The Young Turks (23 March 2016). "Bernie Sanders – The Young Turks Interview (FULL)" – via YouTube. ^ Project, Mossadegh. "Martin O'Malley: Imagine If Iran Had Continued On A Democratic Path". Tom Gabbay (2009). The Tehran Conviction. William Morrow. ISBN 978-0-06-118860-2. Christopher de Bellaigue, Patriot of Persia. ISBN 978-1-84792-108-6. Mosteshar, Cherry (2015). The Coup that Changed the World (1 ed.). New York: BPP.